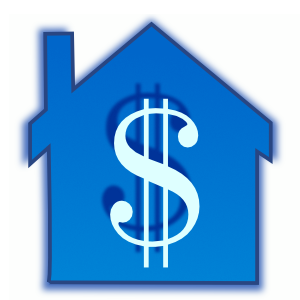 Pricing your home properly is very difficult for a seller to do and a professional real estate broker is needed to help determine your market value. Your broker will prepare a Comparative Market Analysis to help you understand the current market conditions. Bear in mind, conditions change and a house’s value may be more or less than it was six months before. It is very important to get good advice and carefully analyze the data to determine a fair market price. While price is not the only factor to consider, it is the single most important one to cause a house to sell. A home that is priced too high will remain on the market and get “stale.” Few real estate agents will bother to show a stale listing. Why waste their time when they can show a qualified customer a home that is more likely to sell? A home that is on the market for more than 60 days is priced too high for one reason or another. The reason may be market conditions. A slow market will cause prices to fall. Or you may have allowed your emotions guide you to ask a price that is too high. Don’t let a real estate agent “buy your listing.” To “buy a listing” is a term real estate agents know all too well. It means that they told you the value of the house was higher than it really is so that you would choose them to sell it. After a few weeks you find out that the agent was wrong about the value but you are stuck with a listing contract and an agent who gives you doubts. You then have a stale listing and must drop the price below value to sell. Get good advice but do your own research, too. Look in your newspaper classified ads for “Open Houses.” Visit those that seem to be similar to yours, but keep an open mind. People can ask any price for a house but only those with fair prices sell. When you visit open houses you will see some with ridiculous prices and then you will see those that are competitively priced. Remember, most houses sell for 5% – 10% less than the asking price, rarely does a seller get the full price. Most people take pride in their home, maintain it well and deserve to sell it for a fair price. However, try to keep your emotions out of the equation. How fast must your house sell? If you need to sell it within 60 days, you must keep the price at or below average. If you have more time you can “test the market,” that is, ask a price slightly higher than average with the understanding that if there is not a contract within a predetermined time, you will lower the price in stages. You can tell very fast if your home is priced right… are people coming to see it? Even in a slow market, there are buyers out there. If you are not having two or more showings per week, the price is too high… period! If you are having the right amount of showings but there have been no offers, people are seeing better values. The first two months are critical. Work closely with your agent to determine the factors involved and adjust your price accordingly. The goal should be to have a fully negotiated and executed contract in hand with a closing date no longer than 45 – 60 days later. Call us today at 941-235-7474 or email us at sales@suncoasteam.com for prompt, professional assistance selling your home!